The following is a brief overview of major events Lee Tofanelli and Associates has produced and distributed for domestic and international television broadcast, home-use, and online formats. LTA, in conjunction with VH1, produced for worldwide television distribution the Divas Live Special featuring Aretha Franklin with special musical guests Marc Anthony; Kevin Richardson, Howie Dorough, and AJ McLean of the Backstreet Boys; Mary J. Blige; Kid Rock; Celia Cruz; Jill Scott; Nelly Furtado; Bishop Paul S. Morton and the New Jersey Mass Choir; an all star jazz ensemble featuring James Carter, Clark Terry, Herbie Hancock, Ron Carter, Roy Haynes, and Russell Malone; and a special appearance by Stevie Wonder. LTA worked with Ms. Franklin to develop the concept for this special, her first in 12 years, and was involved in all aspects of the production including set and lighting design, talent selection, and the overall live show and television presentation. 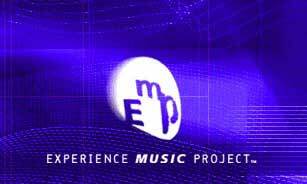 LTA served as an Executive Producer of the grand opening concerts for the Experience Music Project Interactive American Popular Music Museum. Broadcast on MTV, VH1, and distributed worldwide, the concerts featured Metallica, Matchbox Twenty, The Eurythmics, Alanis Morissette, Dr. Dre, Eminem, Snoop Dogg, Filter, Beck, No Doubt, Kid Rock, and the Red Hot Chili Peppers. LTA was involved in all aspects of the multi-million dollar production ensuring the vision of Paul Allen and the EMP Museum was achieved in both the live shows and the television production. LTA was also responsible for the post-production editing and audio remixing of the concerts. LTA produced for PBS and worldwide television distribution The Four Tops 50th Anniversary Celebration Concert with special guests Aretha Franklin, Mary Wilson, Paul Rodgers, Ashford and Simpson, Sam Moore, The Temptations Review featuring Dennis Edwards, and James Carter. In addition to developing the concept, LTA was involved in all aspects of the production including budget preparation, set and lighting design, talent selection, and the overall live show and television presentation. LTA was also responsible for post-production editing and audio remixing of the concert for CD and DVD worldwide release, and is also the international distributor of the program. LTA produced both the live show and PBS television Pledge Special of Ray Charles in Concert with special guest Diane Schuur, to include negotiating live show rights, television rights, home use video rights, and international television rights. LTA also negotiated and consulted on sponsor acquisition and merchandising rights, and is the international distributor of the program. LTA produced for worldwide television distribution The White Nights Festival from St. Petersburg, Russia featuring Whitesnake, Ricky Martin, a-ha, Mr. Big, Falco, and Run DMC. LTA was responsible for the overall television production from both the indoor and outdoor venues over the course of seven nights. 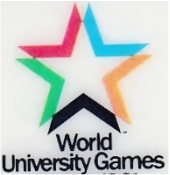 LTA was retained by the World University Games Buffalo Organizing Committee to produce a daily highlights package for international distribution. Over the course of the 11-day competition, LTA was responsible for supervising and directing teams of field producers, camera crews, and audio engineers at multiple venues in order to capture the various competitions. The footage gathered each day was then screened and edited into a one-hour program, and uplinked via satellite that evening to various countries around the world. LTA also worked with international producers and field crews covering the Games who were producing human interest features about their respective athletes. LTA produced and distributed a made-for-television concert series consisting of 13 episodes to include budget preparation, talent acquisition, production of the live shows, and negotiation of home-use rights. The series was initially broadcast domestically on owned and operated CBS affiliates, and in syndication. Many ﻿of ﻿the episodes were also broadcast on PBS stations throughout the United States, and the series is still distributed internationally. Guest stars included Smokey Robinson, B.B. 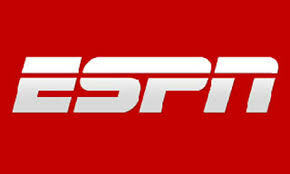 King, Mel Torme, Shirley Bassey, Grover Washington, Jr., Laura Branigan, The Hooters, Regina Belle, Clint Holmes, and Michael Pedicin, Jr.
LTA was retained by the FFKA Karate Association to produce a series of televised championship fights from venues across the United States for broadcast on ESPN. LTA was responsible for coordinating all aspects of the television production, post production editing of the one-hour episodes, and delivery of the finished programs to ESPN. LTA provided entertainment production services to the Brady Cancer Research Institute at Hahnemann University for two benefit fund-raising concerts which were also taped for broadcast on the Philadelphia CBS owned and operated affiliate. LTA was responsible for budget preparation, talent acquisition, contract and rider negotiations, travel and equipment logistics, and the overall live show and television production. 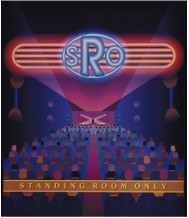 Performers included Mel Torme, Diahann Carroll, and Vic Damone. In addition, LTA also coordinated the public relations and advertising for the events.